Neither is necessary. Here are four reasons. References are pertinent only during the later part of the job-search process: after a potential employer has interviewed you and desires to check others’ impressions of you prior to extending you a job-offer. As a candidate, you would want to be the first person to describe yourself to the potential employer. You would not like the employer to contact your references beforehand and form an opinion of you ahead of your interview. If you post your résumé online (on your college’s career website or at a job-search site such as monster.com,) you would not want to make public your references’ contact information. Employers understand that you will give them a list of references when asked for. Listing references is not the best use of space on a one-page résumé. Eliminate the list of references or the “available upon request” phrase from your résumé. Instead, on a separate sheet of paper, prepare a list of two or three professional references. For each reference, include name, contact information and a phrase about the nature of your relationship with the reference. Bring this sheet to your interview and present it when the potential employer asks for references. Use the valuable space to enhance your résumé either by adding further details of your accomplishments or by increasing white space around various sections of your résumé to make it more visually appealing. Resumé Tips #5: Résumé or Curriculum Vitae? Are reference of school co-ordinator or directors required if the CV is made for joining a Social Service Club? 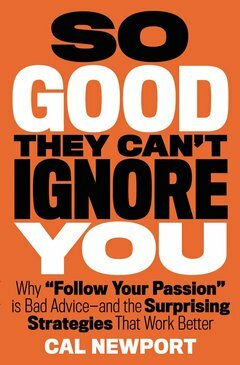 Computer scientist Cal Newport explains how blindly following one's passion is a poor career strategy. Developing precious skills can initiate a passionate pursuit and a meaningful career.